BeBop Sensors has announced that it will be showing off its Forte Wireless Data Glove at the upcoming CES 2018 in Las Vegas, in January. 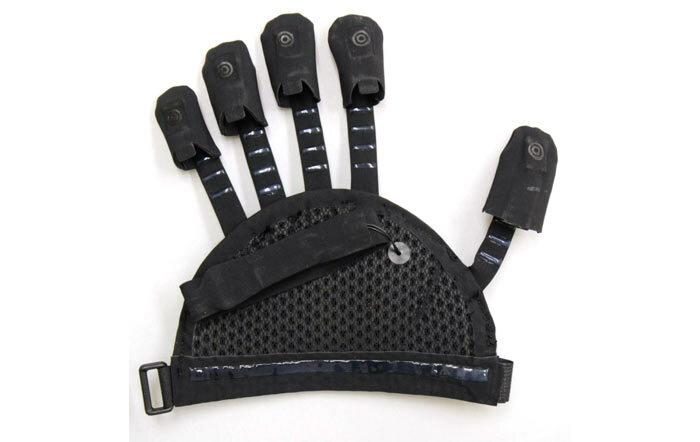 The company refers to its new product as “the first fully featured affordable data glove to incorporate haptics, and super accurate rapid sensing for gaming and AR/VR environments for a more realistic VR experience”. In addition to the glove, BeBop will have some Foot Mat and Trackpad sensors on show, aimed at both consumer and medical applications. First affordable high performance, ultra-comfortable wireless data glove. Data rates at 150 frames per second, eliminating lag for near instantaneous response times, perfect for the most demanding gaming applications. 10 smart fabric bend sensors are located above each knuckle with bend accuracy and repeatability at +/- 1.5 degrees. 9 degree IMU (Inertial Measurement Units) provides extremely low drift and reliable pre-blended accelerometer and gyro sensor data. 6 actuators are located on 4 fingertips, the thumb, and palm. Up to 64 unique haptic sound files can be resident on the glove with new files rapidly uploaded over Bluetooth or Micro USB. Micro USB connector charges the internal lithium battery in 2 hours for a 15 hours battery life. Pondering over the above, the elimination of lag from gaming experiences sounds attractive. BeBop asserts that “triggering approaches near instantaneous response times -- perfect for the most demanding shooter scenario games”. Haptic feedback helps provide greater immersion and the glove can host up to 64 unique haptic waveforms. The equipped haptics have a frequency response of 100Hz to 2000Hz. BeBop Sensors Forte Data Glove and development kit are already available to qualified OEMs. Unfortunately we don’t have prices (despite claimed affordability) or availability dates for consumers. I always thought gloves were the way forward. Just need some resistance on the back to make it feel like you're holding or squeezing things and then you're away. Just need some resistance on the back to make it feel like you're holding or squeezing things and then you're away. I'd love to see a real world example of this working because all my VR games at least, do require buttons to be pressed to access menu's etc. So in the real world would you not still be using your normal controllers but now with a pair of gloves on ?